The state prosecutors have warned lawyers representing nine people including senior police officers against creating animosity between the army and police. Nine people including former commander police Special Operations Unit, Senior Superitendent of Police Nixon Agasiirwe, Senior Commissioner of Police Joel Aguma(Commandant of Professional Standard Unit) Sgt Abel Tumukunde ( Flying Squad) James Magada (Crime Intelligence), Faisal Katende(Flying Squad),Amon Kwarisima,Rene Rutagungira(Rwandese) and Bahati Mugenga(Congolese) who are accused of kidnapping before repatriating Lt.Joel Mutabazi, a former bodyguard to Rwandan president Paul Kagame to Rwanda in 2013. On Tuesday, the state prosecutor Maj.Raphael Mugisha raised a complaint to the General Court Martial in Makindye over a scenario in which Eron Kiiza, one of the accused’s lawyers discussed the case in the media which he said was prejudice. Nixon Agasirwe jumps off a prison truck. “Kiiza has been heard on radio and television stations discussing the ingredients in the matter. Discussing merits of the matter of this case is trying to create animosity between the two sister agencies of police and the army,”Maj.Mugisha said. The prosecutor cited a copy of the New Vision dated December 24 asking that court should take necessary action against the lawyer. 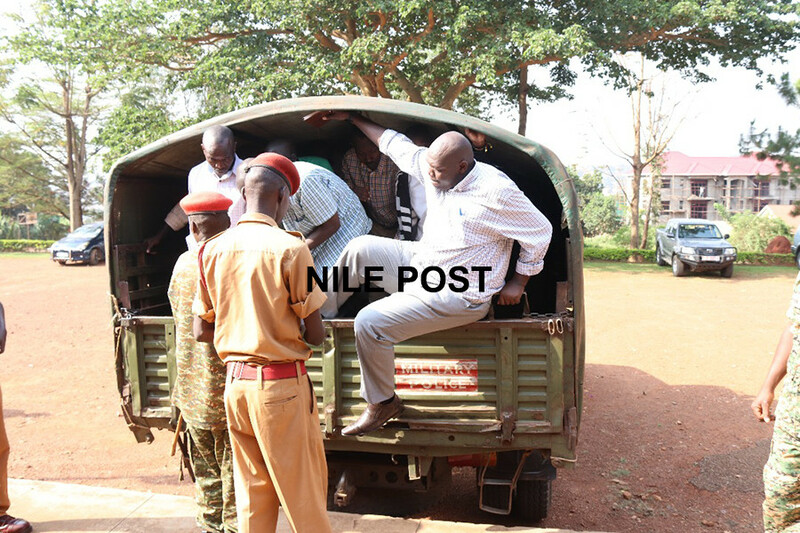 Last year, Kiiza addressed a press conference at Speke hotel in Kampala in which he accused the army and senior security officials of torturing Rene Rutagungira, a Rwandan suspect in the matter. However, Caleb Alaka, the lead lawyer for the accused said that a newspaper cannot be relied on as evidence in court. “These are mere allegations meant to intimidate our colleague,”Alaka said. The General Court Martial chairman, Lt.Gen. 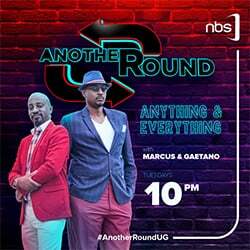 Andrew Guti however asked the two parties to discuss and sort out the matter between themselves other than raising it to court. Meanwhile, the case has been adjourned to February 5th. 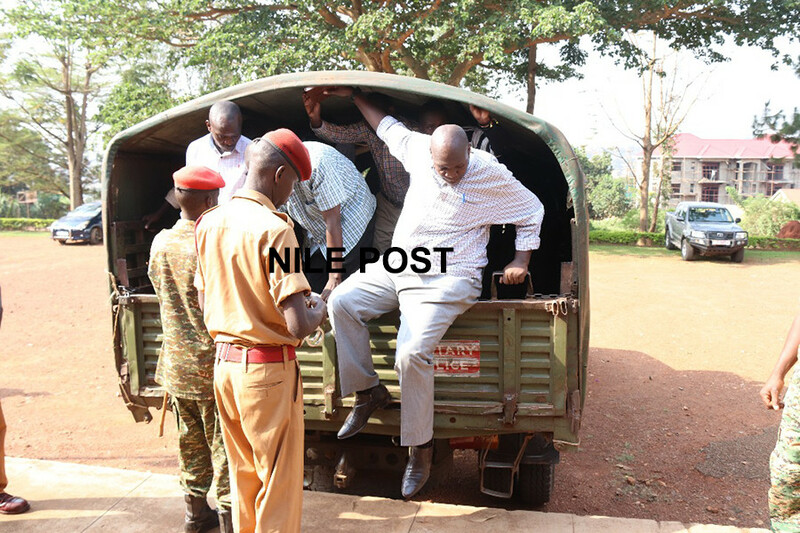 Prosecution alleges that on 25th October 2013 at Kammengo, in Mpigi district along Masaka road, the accused using a pistol and grenades abducted Lt. Joel Mutabaazi and Jackson Kalemera whom they took back to Rwanda without their knowledge contrary to the Penal Code Act. Prosecution also contends that the accused are people subject to military law for using weapons(pistol and grenade) which are ordinarily a monopoly of the army according to the UPDF Act 2005.